Asset management plans — and planners — must adapt to the challenges and needs of tomorrow, where sustainability is required for prosperity. Infrastructure-focused organizations typically emphasize sustainability and environmental impacts during project planning and design, especially for large and strategically visible projects. The focus on sustainability should be consistent through all phases of the asset’s lifecycle, starting with procurement, to construction, through operations, maintenance, renewal, and replacement — which can deliver even more impactful environmental benefits and outcomes. Successfully aligning asset management programs with sustainability starts by linking objectives and outcomes with specific strategic plan goals and communicating these consistently throughout all levels of the organization. This involves developing highly visible metrics, starting with customer- and public-focused levels of service (LOS) and cascading through tactical key performance indicators and operational metrics. 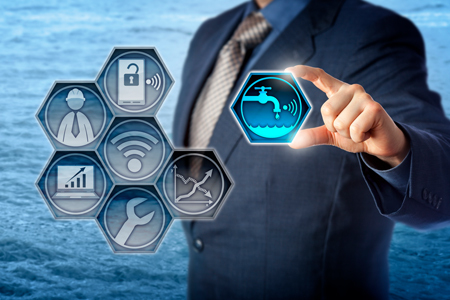 Water and utilities – Energy capture from wastewater treatment processes and moving towards “net zero” facilities; water reuse and direct potable reuse; and a “one water” planning approach to optimize outcomes between water, wastewater, and stormwater investments. Aviation – Facility-focused energy efficiency, LEED building certification, onsite solar and alternative energy sources, and transition to alternative fuel and electric vehicle fleets. Multi-sector – Common drivers include climate change, resiliency, and water and energy conservation programs. The heart of any asset management program is the detailed planning and analysis that go into the development of a formal asset management plan (AMP). Sustainability staff should be involved in this effort, which creates an opportunity to apply sustainability philosophies and techniques at all stages of the asset’s lifecycle. One technique is the development of level of service goals and targets that incorporate sustainability goals and deliver tangible environmental benefits and demonstrate improvement trends. Also, planning forecasts for growth and demand should incorporate any expected impacts on sustainability, including energy and resource consumption. This will help identify offset opportunities in the AMP. Triple bottom line (TBL) factors can also be incorporated into asset risk analysis, which looks at the social, financial, and environmental impacts of an AMP. This should identify consequence of failure criteria, including the potential for environmental damage, negative social impacts, and regulatory compliance issues from asset failures. Lifecycle management plans should also ensure that strategies are focused on an ongoing measurement of resource consumption, assessing environmental impacts from asset disposal, and continuous monitoring for technical obsolescence as new environmentally efficient options emerge. Within capital funding strategies, ensure that environmental benefits are monetized and considered for future investments. It’s also important to consider allocating dedicated funding sources to sustainability-driven projects, including greenhouse gas and energy reduction efforts. The AMP provides you with an opportunity to ensure that sustainability programs maintain a solid operational focus and that maintenance staff are integrated and aligned. A thorough, well-researched AMP will provide opportunities to drive improvements for existing assets, including identifying opportunities for energy efficiencies, new technologies, and environmentally friendly maintenance supplies and equipment. WSP USA, a leading engineering and professional services consulting firm, is embedding sustainability and environmental approaches within its asset management projects on several fronts, including recent projects within the aviation, transportation, and infrastructure sectors. For example, WSP worked with a large U.S. hub airport to align its asset management program goals to sustainability elements within the client’s strategic plan, including developing key messaging for staff that linked sustainability with the social, financial, and environmental outcomes of maintenance and capital decisions. On another project, WSP is working with a state-owned freight rail network to expand sustainability-related performance metrics within its future AMP, incorporating measures related to Tons of Freight Transported and Number of Railcars to assess the positive impact of freight growth on the reduction of truck transport miles. The firm is also working with a large multi-modal, multi-state agency responsible for rail/transit, bridges, tunnels, aviation, and ports to complete a pilot AMP for a tunnel ventilation system. During discussions on future asset management improvement opportunities, the team identified ways to reduce energy usage (and extend asset life) by using automated mode instead of manual when operating fans. WSP is providing strategic support to another large statewide multi-modal transportation agency for its multi-modal asset management program. This effort includes incorporating efficiency and technical obsolescence criteria into its vehicle replacement program. Overall, there is a growing desire among water and utility clients to move toward the creation of efficient and sustainable net-zero facilities, using such initiatives as energy capture from the wastewater treatment process, water reuse and direct potable reuse, and a “one water” planning approach to optimize outcomes between water, wastewater, and stormwater investments. Incorporating asset management programs and actively aligning them with sustainability goals helps ensure a balanced focus across the entire lifecycle. Keeping a consistent sustainability focus through procurement, construction, operations, maintenance, renewal, and replacement strategies is an effective way to deliver impactful environmental benefits and outcomes. Leading organizations are ensuring that sustainability and asset management are strongly aligned, embedding common principles throughout the asset’s lifecycle such as performance measurement, lifecycle analysis, risk assessment, project prioritization, and the TBL. These strategies are being successfully applied across all public infrastructure sectors including water, wastewater, power, rail, transit, airports, and public works. David Sklar is assistant vice president and principal consultant at WSP USA, leading the asset management and business strategy offerings within the utility and aviation sectors. Sklar is a recognized industry leader with over 20 years of diverse experience across energy, water, aviation, transportation, facilities, and public works infrastructure sectors. Key areas of expertise include asset management, environmental sustainability, capital planning, process improvement, lifecycle costing, triple bottom line analysis, operations and maintenance strategy, and performance management.